Kohn Pederson Fox’s (KPF) New York office has had their planned coterie of dwellings in Red Hook, Brooklyn, recognized by the American Institute of Architects (AIA)’s 2017 Design Awards. 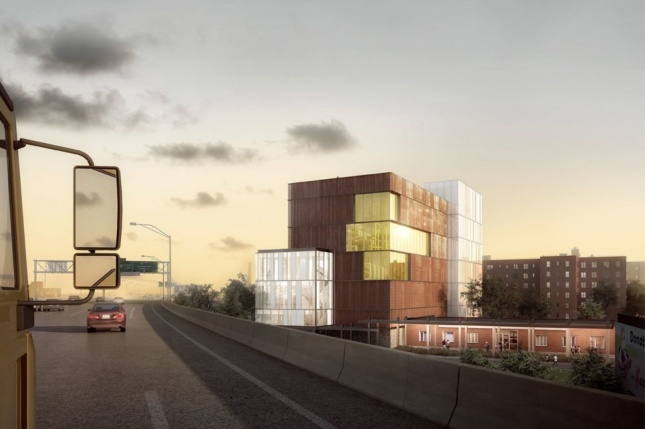 Collaborating with Philadelphia-based landscape architects OLIN, KPF worked out a master plan that will serve as part of a contingency plan in response to the devastation Red Hook faced after Hurricane Sandy struck in 2012. 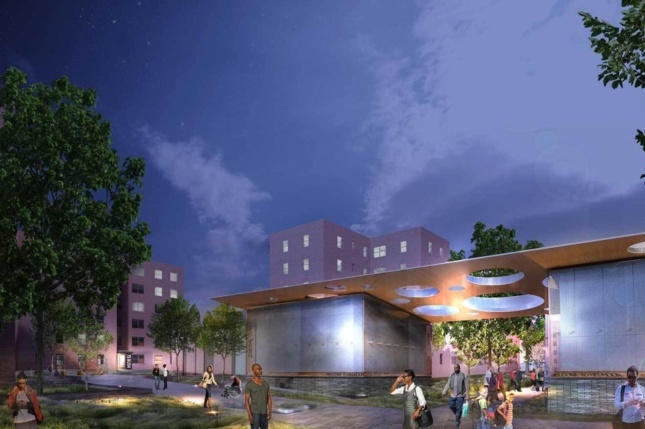 After conducting community research, including surveys, workshops, forums, KPF now aims to install 14 “utility pods” that would provide heat and electricity to each building as well as doubling-up as a gathering place for public programs. In addition to this, a “Lily Pad” design will act as a flood barrier, using raised earth in the middle of internal courtyards, aided by an active flood wall with passive barriers. As renders depict, these spaces will become mounds where people can sit and relax. All in all, KPF’s scheme will span 60 acres and service 2,873 residences. “These elements transform the experience of residents and guests by providing vibrant, social spaces in conjunction with the area’s infrastructural needs,” said the architects. Last year, NYCHA reached out to developers to “finance, design, construct, and operate a campus-scale heat, hot water, and electricity generation and delivery network” that will supply 28 buildings housing 6,000 residents in the area. 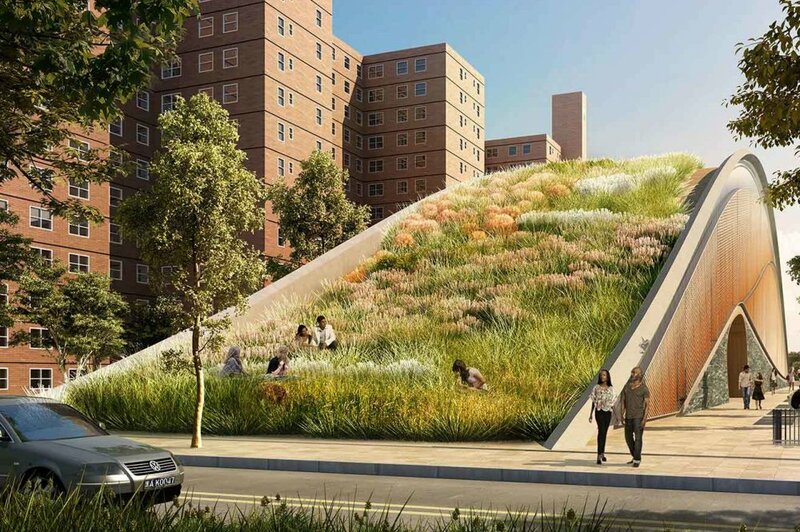 To aid the effort, the micro-grid will let the NYCHA produce its own energy and link up with the Red Hook Community Microgrid scheme. Projects recognized by the AIANY Awards will be on show at an exhibition at the Center for Architecture from April 21 through June 20, 2017.